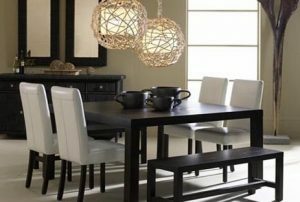 Los Cabos offers furniture, appliances, and accessories for your home or office from First-Class interior design showrooms to office and home decor stores. Are you dreaming of something modern or Italianate for your Baja casa? How about classic Mexican style with rustic pine furniture and hand-woven tapestries to reflect the spirit of Mexico? 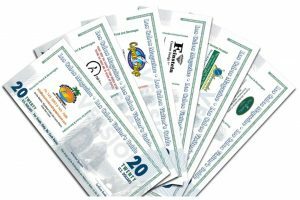 In Los Cabos you’ll find resources that bring the world of fine furnishings to you so you don’t have to travel to designer showrooms back in the United States to find what you are looking for in furniture. Most local designer and furniture showrooms have online capabilities and sample catalogs of what you are looking for from expensive brocades for upholstering, to floor finishes ranging from exotic hardwoods to marble, slate, ceramic tiles and more! Mexico is famed for forged rod iron furniture, lamps, blown glass and accessories as well as colorful hand-painted Talavera pottery ware from the town of Puebla. Baja’s year-round warm climate allows for patio style indoor-outdoor living and you’ll find just the right furniture you are looking including wicker, wood, rod iron and aluminum chairs, outdoor tables, chaises, canopies and outdoor Caribbean beds. 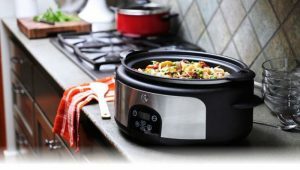 Top name brand appliances in the latest styles and colors can be found here along with spas, Jacuzzis and assistance for installing and servicing them. Don’t forget that kitchen and appliance stores can often help in planning your gourmet kitchen. You’ll find beautiful cabinets in all styles and finishes available in-stock, made locally to order, or imported. Local warehouses are loaded with exotic counter-top materials including beautiful granite and marble slabs in a multitude of colors and variations imported from all over the world. In the mood for a bar-b-cue? You’ll find just what you need to host the gang over for “shrimp on the barby” as you can find top-of-the-line grills here that even the most particular chefs will enjoy cooking on. Finally, don’t forget curtains, blinds and hurricane proof storm shutters, out-of-sight when not needed, but there for you when it really counts. The Custom Frame Studio Located inside the gallery, framing designer Pete Signorelli has created for his clients the most professional and equipped custom frame shop in Los Cabos….. The GE Monogram Collection is now in Los Cabos. The Home Store has distinguished itself as the furniture store that has everything you need to furnish and decorate your home! We’re here to help you! Will turn your house into your home using imaginative design, guaranteed comfort, and an extensive selection of fine quality furniture and accessories that fit your lifestyle. Plaza San José, next to Dollar Rent a Car, Km. 32 Highway #1, San José del Cabo, BCS. Exclusive furniture and delightful home articles and decorative items, in antique and modern Mexican Style, with a combination of the greatest variety of materiales for unique Adobe style decoration. (Furniture and Crafts) – Ever changing selection of rustic furniture, ceramics and arts & craft. Especialty: Interiorism in Los Cabos – Our pre-construction review will give you an objective and timely advice before you begin the project and avoid costly mistakes. Our Company specializes in delivering the highest quality in craftsmanship and materials. Carmen Quartararo – Interior Design – Private showroom in Cabo San Lucas and Design Offices in Los Angeles, California. A full service Custom Interior Design Center able to assist in all phases of planning, whether it be a residential or commercial space. With more than 3 years of experience in the cities of San Jose del Cabo and Cabo San Lucas and the peace (and more than 5 years in Monterrey), in Cape Doors our commitment and seriousness. Quality furniture and accessories. Inlaid wood, glassware & pottery. Pewter & ceramic tableware from the mainland. Our collection of furniture and décor features the work of designers and skillful artisans in what has become a modern version of the Spanish and Mediterranean style. Design, art and color to harmonize your living space. Furniture and accessories inspired by Baja California’s desert. Residential and corporate interior design. Mexican furniture. Art Gallery. Interior Design and decoration. New patio furniture, made of wood, wicker, and aluminum, and has a large selection of hammocks and accessories. 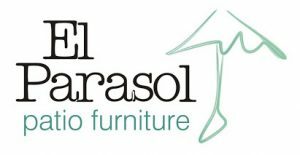 All El Parasol Patio Furniture products are manufactured in the United States and are direct from the factory. Todos Santos Highway S/N, Col. Brisas del Pacifico, Cabo San Lucas, B.C.S. Phone: 624-143-6373. Unique Gifts, Decoration and Quality Integrated Design. Is a manufacturer of premier, custom, all German Rehau, PVC Vinyl windows and doors, as well as hurricane shutters for residential and commercial construction. Rustic furnitures for sale. The rustic decoration is nice and warm, special designed for a house on the beach or in the city, accessories and different kind of furniture. (Furniture & Gift Gallery) – Featuring colonial furniture, chandeliers, gifts & antiques. Lifestyle and Home design, we are distributing independent of the best marks of furniture of the great prestige in the world. Proposing and innovating with younger, elegant, modern styles, this way each of this projects have an ultimate goal to be unique and original, always following their principals and furnishing the way you live. In this Asian exotic shop you will find a great variety of dresses an endless array of products directly imported form the Indonesian island of Bali. Bathroom and Kitchen we help you to have a well planned kitchen. Come here to select the finest stone materials including: granite, marble, travertine, slate, cantera, sandstone and limestone. Offer nothing but the best in the casual furniture market, offering the best products for the outdoor room. We offer our prestige collection by the famous designer Emilia Castillo. Nice Gifts And Premium Brands Like Baccarat, Lalique, Daum, Emilia Castillo Are Just The Beginning Of A Unique Collection. Manufacturing top quality and high design furniture since 1965, placing us as the Leading Brand in the residental Kitchen Market in Mexico and Latin America. Has over 20 years of experience. Our projects have included five star hotels, villas on the Mexican coast, spa concept development, hospitals, medical clinics, model homes, retail store development and numerous private residences. We are qualified window furnishings specialists here to assist you in making that most important decision for your home easy. The Segusino style of furniture derives from an interesting clash of cultures en the heart of Mexico. Spanish colonists built the oldest City in Puebla, gateway between the coast where they arrived and Mexico city the then Aztec capital which was build in the centre of a lake, marked by two live volcanoes. Jacuzzi Spas and Hot Tubs – Local factory trained and authorized service and repair. Our mission is to supply you with the highest quality bath and spa products at competitive prices and to guarantee you the best factory authorized service. We are a high end residential interior design studio with a small storefront gallery. We carry the original art of Dennis Wentworth Porter as well as unique pieces of furniture and accesories from around the world. 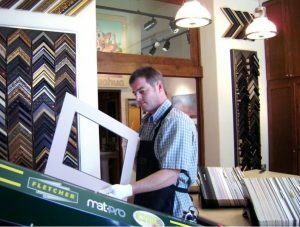 Located inside the gallery, framing designer Pete Signorelli has created for his clients the most professional and equipped custom frame shop in Los Cabos. By appointment Mon-Fri 10:00 -18:00 Hrs, Sat 10:00-14:00Hrs. Closed Sundays. Our goal is to offer blinds of the greater quality and to the best prices of the market. Cabo´s newest high end shopping center. With easy access to numerous shops and executive offices and ample parking for more than 125 cars and golf carts. You will find luxury Jewelry, Antiques and Furniture, Fine Arts and Crafts, Art Gallery, 3 Restaurants, Day Spa, coffee shop and bakery and the best selection of men´s and woman´s clothing brands for all occasions. Offers the largest selection of quality home and patio furnishings with the finest interior design services throughout Baja, we also offer in home setup and delivery. One stop shopping for any and all interior design needs.